Blog / Why Is Email Testing So Pricey? When we talk to email marketers and developers about the importance of email testing, it’s not hard to convince them of the benefits; emails that render properly can improve subscriber engagement and ROI. Ultimately, though, they come back to us with an important question about email testing cost: Why is it so pricey? 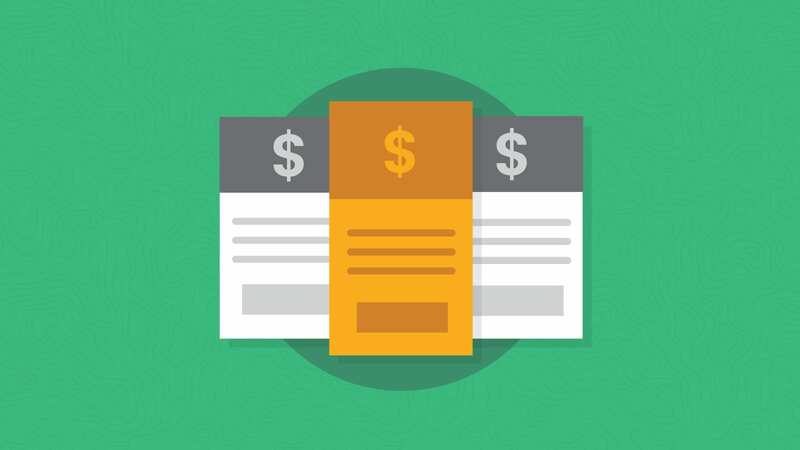 Of course, the cost of email testing varies depending on the platform you’re using to test your email. It also depends on the size of your team, the number of emails you send, and how much value you find in your tool. We’d like to break down the cost of Email on Acid and what factors play into the price of our platform. What Influences Email on Acid Prices? At Email on Acid, we strive to offer a price that is competitive in the market and we’re proud to be the most affordable email testing software available. Nevertheless, we still have many people and customers who ask about our prices and how we determine what to charge. Email testing software isn’t a cheap operation to run. To create our product, we’ve had to develop custom applications for every email client and device preview (that’s more than 70 at last count). Also, we need a massive infrastructure to support the applications, so that we can provide fast and reliable email test results for our customers. Email on Acid is more than just a website – it’s a set of tools and a full testing platform. There are thousands of servers processing screenshots and maintaining our application at any given time. It’s also important to note that Email on Acid handles thousands of emails at once, some good and some bad. If someone sends a bad email to our system, we need to make sure we have the infrastructure to recover and keep everything else up and running, so our customers can continue to test and use our platform. Let’s not forget the ever-changing email landscape. Email clients are constantly adjusting their features and user interface. When that happens, we have to change our platform as well, so we can provide accurate email previews. Hardware and software aside, we also need engineers, developers and IT professionals to maintain this infrastructure, as well as other teams that keep the rest of the business running – marketing, customer success, sales and operations. We also factor in product investment with our pricing, so we can continue to grow and offer new and improved features for our customers. Your monthly subscription will not only fund the maintenance of our product, but it will also help us invest in new offerings to make email testing and email marketing even easier. What Does Email on Acid Cost? 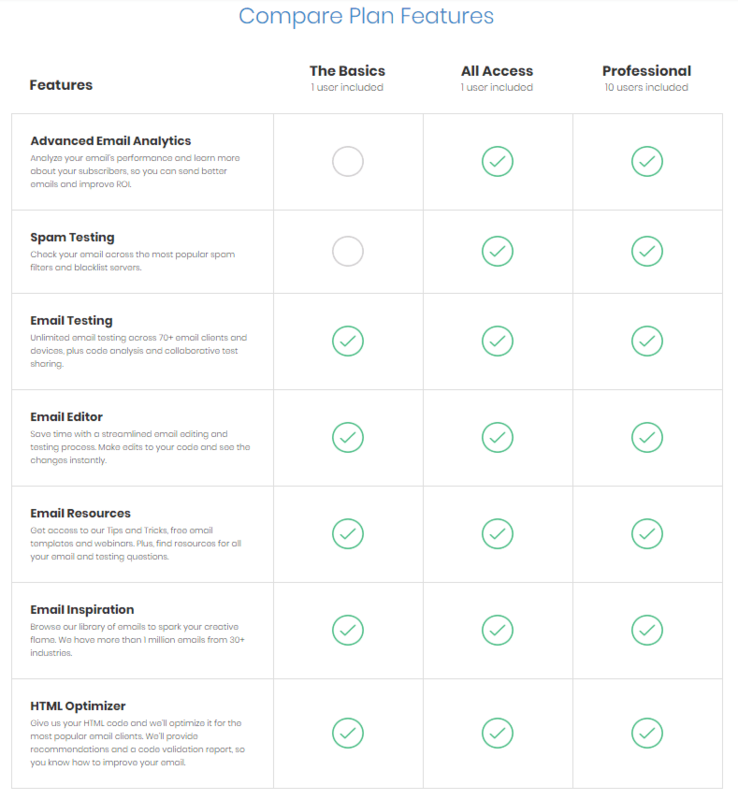 As outlined on our pricing page, we offer several different testing packages to fit email teams of all sizes. Each package includes a certain number of users (sometimes called “seats”) and a set of features. Every one of Email on Acid’s plans includes unlimited email testing, which means you can test your email again and again until it’s perfect. Learn more about the benefits of unlimited email testing. Each plan also includes our Email Editor, which helps you edit your code and see the changes instantly, so you can save time switching from different email platforms. We also offer our first-class customer support, Email Inspiration, and email Resources to every subscriber. Annual subscription is $44/month or $528 billed one-time annually. A month-to-month subscription is $55/month or $660/year. Does not include Spam Testing or Advanced Email Analytics. Includes one user, but you can add a user if needed (more info below). Annual subscription is $68/month or $816 billed one-time annually. A month-to-month subscription is $85/month or $1,020/year. Includes Advanced Email Analytics, with up to 250,000 email opens per month. Annual subscription is $260/month or $3,120 billed one-time annually. A month-to-month subscription is $325/month or $3,900/year. Includes Advanced Email Analytics, with up to 1.5 million opens per month. Includes ten users but you can add a user if needed (more info below). $25 for 24 hours of access to Email on Acid unlimited email testing. The pass starts from the time of purchase. Includes access to Email Editor, HTML Optimizer and Email Inspiration. Based on our plan pricing structure, we customize these plans for your team size, the tools you are looking to use, and the size of your email marketing efforts. You can contact us for more information or a quote. It’s important to note that with any Email on Acid plan, you can add a user to your account for $30/month. For example, your team subscribes to an annual All Access plan but needs three users. The plan already includes one user, and we can add the two additional users for $30 each per month, or a total of $60/month. This means you will pay a total of $128/month for your subscription ($68 + $30 + $30 = $128). As you may have noticed in our pricing breakdown, the All Access and Professional plans include limits on the number of email opens tracked in your Advanced Email Analytics. This means that under an All Access plan, you can track analytics for up to 250,000 opens of the emails you send; Professional plans have up to 1.5 million opens. For example, if you are on an All Access account and have three campaigns with 50,000, 100,000 and 100,000 opens, you will have reached your limit for the month. On the first of the next month, you’ll be able to track another 250,000 opens. If you reach your monthly open limit, you can either upgrade your account or purchase more open credits. The pricing varies depending on how many opens you would like to buy – for example, an additional 1 million opens is $50/month. Contact us for full pricing for additional analytics credits. If you are an email service provider (ESP) or another email tool that would like to integrate Email on Acid into your platform, we offer white label solutions for Email Testing, Spam Testing and Advanced Email Analytics. Read more about how ESPs can benefit from white labeled email testing. Like our Enterprise plan, the pricing for these white label solutions will vary depending on the size of your platform, the number of users you have, team size, and which tools you are looking to integrate. If you would like to learn more about these integrations, please don’t hesitate to contact us. Do You Have More Questions About Email on Acid Pricing? If we didn’t answer your question here, please feel free to contact us. We’d love to chat more about our platform and any concerns you may have. Email on Acid is the most affordable email testing platform on the market. Our tool gives you the power to preview your email on more than 70 email clients and devices, so you can send better emails and improve ROI. Try our platform free for seven days and see for yourself.